Miami Beach and Houston officials said they were disappointed after learning Democratic National Committee Chairman Tom Perez selected Milwaukee on Monday as the site of the party’s 2020 presidential convention. The Miami Herald said Perez chose America’s heartland — and perhaps his heart — over the melting pot of Miami. Perez has deep ties to Milwaukee, marrying his wife there. South Florida’s waterfront views, diversity, deep-pocketed donors and experience in hosting major events were strengths of Miami's bid, the paper said, but Perez chose to hold the party’s seminal event in Wisconsin, where Donald Trump shocked Hillary Clinton in 2016. Houston officials, including Mayor Sylvester Turner, had courted the Democratic Party by pitching Texas as another battleground state. "Our bid brought together people from both major political parties, and from no particular party, to show that our welcoming city represents the demographic future of America — and has unmatched experience with putting on mega-events," Turner said. "As Houston has proven many times with the Houston Livestock Show and Rodeo, the Astros World Series Championship parade, the Super Bowl and the Final Four, the nation's most diverse and fourth most-populous city is an effective host to the world, relying on great people from the private, non-profit, institutional and government sectors to unite and say 'howdy' in more than 100 languages." 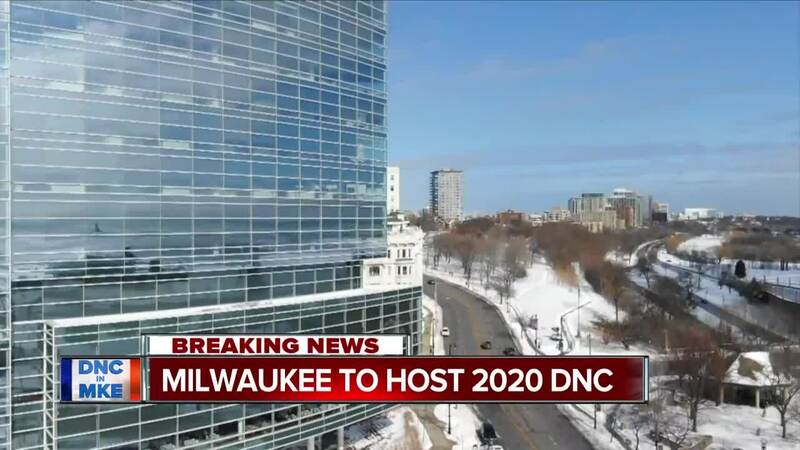 "I'm glad Milwaukee will enjoy the economic boost from hosting the 2020 Democrat National Convention. As voters in a key battleground state, Wisconsinites will also get a first-hand look at Democrats' extreme policies that would reverse the economic progress made under the Trump administration. Understanding the risk of Democrat socialistic tendencies should provide motivation to re-elect Republicans up and down the ballot in November 2020." Milwaukee is a smart choice for Ds. @realDonaldTrump must have the upper Midwest again to be re-elected. If Ds block him there, he’s done. There are no states he didn’t win in ‘16 that he is poised to win in ‘20. On the other hand, Milwaukee needs more hotels. A new Trump?